Are they your favorito! couple? la elección de los fans: Maybe,but not now,in the end of this season. Do tu think Annie&Liam will have good scenes together siguiente season? la elección de los fans: Yes, I'm sure they will. 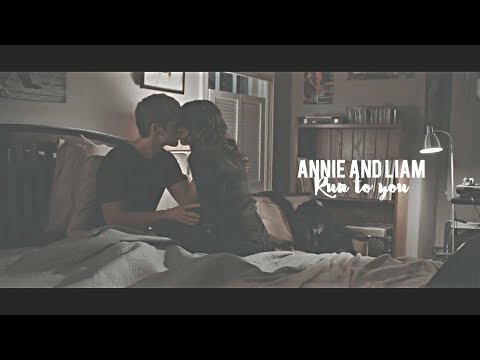 Do tu think they Liam and Annie could possibly get together siguiente season? How do tu add screen scraps? Simply put, when fans have been following a couple for years, it's highly discourteous for new producers to come along and break that couple up. But it's downright shameful when they can't even keep the full break-up on-screen, and they have to base half of it in unseen events. In a simple white button-up shirt, black falda and cordón, encaje up boots, it could have been a very ordinary outfit for any ordinary woman. But Shenae Grimes knows how to make heads turn with a simple outfit por turning up the volume with a white scarf. This simple but effective addition transforms her outfit and is one of the reasons why scarves are popping up everywhere in the fashion world this season. 1. First off, would tu mind introducing yourself to the Lannie fans and telling us something about tu that we don't know? As we all know, the Lannie FOTM encuesta for December ended in a tie – TWICE! Both of these lucky girls are winners, but only one can be interviewed for this month, so up first is the lovely Alexis (aka BlairChuckFan). I would just like to congratulate her on her win, and I would also like to say how fun it was coming up with preguntas for her interview and how fun it was to read her answers! CONGRATS, Alexis! 1. I think it's seguro to say that we'd all amor to learn más about you! Can tu tell us a little about yourself? 1. Let’s start with the most typical question. Can tu tell us a bit about yourself? Well, my name is Amanda and I'm super-old (30, eek!) but extremely young at heart! I live in the only single-syllable state (Maine) in the United States. I'm a 3D ship designer por día and an aspiring writer por night. Oh, and I'm a diehard Lannie shipper! 1) To begin with, Anna can tu tell us a little más about yourself in order to know you?